We don't know if it's the deliciousness of McDonald's fries or the fact that we are savages, but our method of eating them is to shove as many as possible in our mouths, eat, and repeat. We don't know why, but it happens every damn time. The problem with that method is that we eat them too quickly and we're left wanting more. 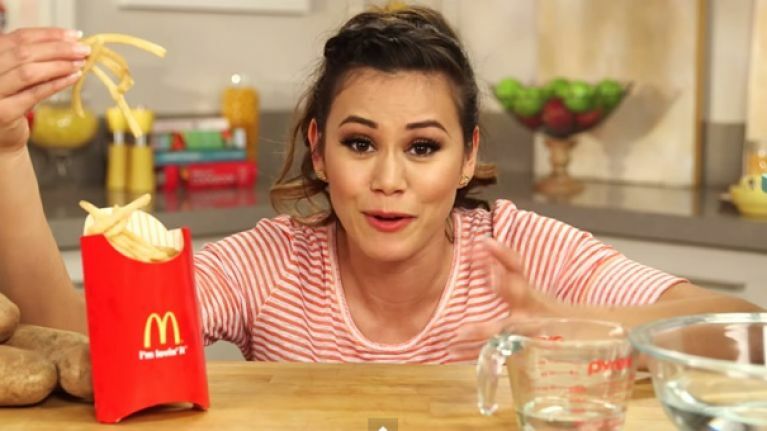 We might be able to eat as many McDonald's fries as we want from now on because a food blogger has come up with a way to make them at home. Popsugar's Brandi Molloy claims she can recreate the fries with just five ingredients, here's her not-so-straightforward but manageable step-by-step guide.